A cool classic that effortlessly goes from day to night - get this one from Ruche! Dress it up: The Ecco Sculptured 65 Sandal T-Strap and a Chunky necklace with bright stones like this beauty from Anthropologie. Great for work, bridal & baby showers, brunch, or even an afternoon wedding. 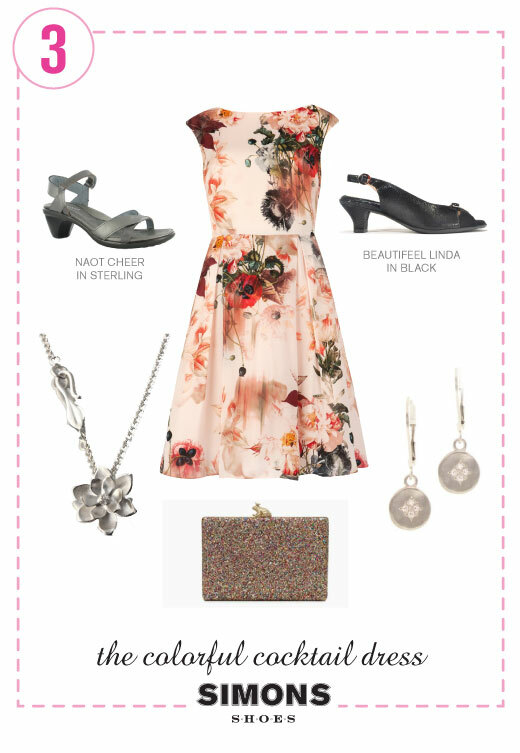 This super feminine stunner is at Modcloth. Dress it up: Stay pure with a great white heel and some daisy like jewels (Banana Republic)- all white is clean and lovely in the late summer. Every woman needs a statement dress for galas, weddings, or formal work events. We can't take our eyes away from this flirty floral by Ted Baker. Look for something that flatters your shape, skin tone, and hair color and you will stand out as a gem among seas of black, navy, and beige. It works best with a classic shoe like the Naot Cheer or Beautifeel Linda. Keep accessories simple, feminine, and sparkly! Necklace by Elise Moran and Earrings by Adel Chefridi - both at Fire Opal, Brookline! 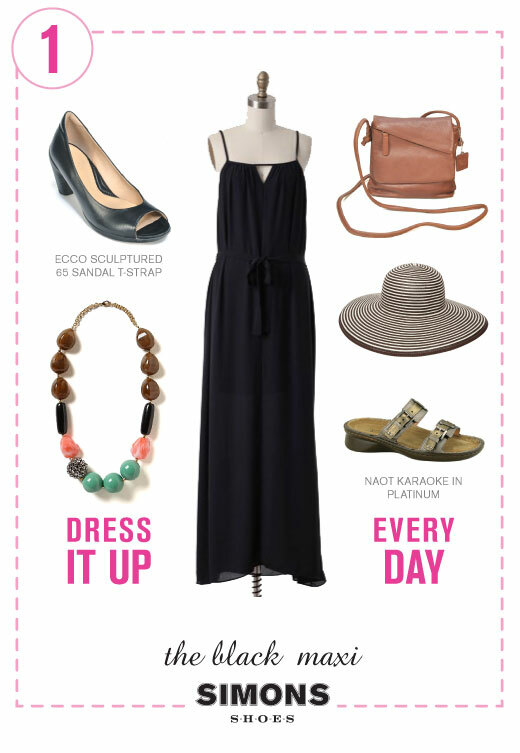 Check out more must have dresses (and shoes) on our Pinterest Board "The Livin' is Easy..."